I had a great chat with the ever-generous Andy about the Yes concert in Birmingham he attended on 11th November 2011. 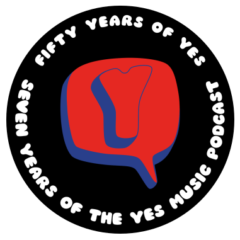 Another top Yes Music Podcast listener, Andy’s reflections give a fascinating insight into the current Yes line-up and their performance at Symphony Hall. If they came again in six months time, I’d go again – I’d be there! Coming up in future interview specials – Ben Craven – a real-life, prog rock hero!